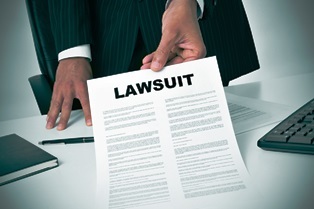 No one can force you or your insurance provider to settle your workers' compensation case. If you refuse a settlement, you can continue to collect any workers’ compensation payments you remain eligible to receive—and you could even collect these benefits indefinitely. However, there may be some instances where it could be beneficial to settle a workers' compensation case. There's no set rule for calculating the amount you can receive in a workers’ compensation settlement. The total you're offered depends on the severity of your injuries, your ability to go back to work, your unpaid medical bills, and the amount of wages you earned before your accident. No matter how much is offered, a settlement should at least be enough to cover your future medical costs and disability relating to the injury. Want to regain control of your medical treatment. Once your case is settled, you'll be able to treat your injury however you see fit. Rather than following worker’s compensation rules about choosing a doctor, you're free to see any doctor, choose your treatments, and generally have greater control over future medical care for your injury. Of course, you must be sure the amount of the settlement is enough to pay for any future surgeries, rehabilitation, or other care you may need. Don't want to go to trial. If any aspects of your claim are in dispute, these will likely be brought up during trial and can affect the amount of compensation you're awarded. Of course, there's always the risk of losing the case in a trial setting, making settlement an attractive option. If something in your case hurts your chances of winning at trial, you may opt for a settlement instead of taking the risk of losing all rights to payment. Leaving your current employment. Since settling a Florida workers' compensation case means the employee is giving up all rights to future medical care from the insurer, many workers are required to resign their current positions as part of the settlement. This mandate varies depending on the insurer’s and employer’s policies. Repaying other benefit providers. If a settlement is accepted, claimants may be asked to repay Medicare, Medicaid, Veterans Benefits, or private health insurance for the portion these providers paid for medical care. The best way to determine whether you should accept a settlement is to speak to a qualified Florida workers' compensation attorney. If you've been injured at work or are considering settling your claim, our legal team can explain potential options at no cost to you. Simply fill out the quick contact form on this page today to schedule your free case evaluation. Is a Worker Injured on a Lunch Break Eligible for Benefits? What does it mean to “settle” my workers' compensation case? If a workers’ compensation claimant and the insurance company agree on the total value of a claim, they may enter into a settlement. This is an exchange where the insurance carrier issues a lump sum payment to the claimant, and the claimant relinquishes any future workers' compensation claims for the injury. Insurers may offer a settlement to a claimant at any point, and claimants can accept a settlement at any time. Claimants are also free to refuse settlements, and cannot be forced to settle their cases. If they don't settle, they may continue to receive workers’ compensation benefits as normal. Settlements in workers' compensation benefits aren't like settlements in other injury cases. While most injury claims allow a victim to recover the full costs of an accident, workers' compensation settlements only cover costs that could be recovered under the workers' comp system. Reimbursement for loss of earning capacity, employer or insurer negligence, property losses, or a victim’s pain and suffering aren't recoverable in these types of settlements. Future injury costs. Insurers usually calculate settlement amounts based on how much a claimant could collect in medical and wage benefits for the injury under the workers' compensation system. As a result, settlement offers are typically made to claimants who require ongoing medical treatment, cannot return to work, or have suffered long-term or permanent disability due to injury. Permanent disability benefits. Insurers may be liable for paying disability benefits indefinitely to an injured worker. In these cases, insurers may offer a lump sum to these claimants instead of providing ongoing payment for permanent disability. Past-due payments. An insurer may be asked to compensate any unpaid temporary disability payments, unreimbursed medical expenses, or resolve any other injury-related financial disputes as part of a settlement. Also, the insurer may be asked to pay penalties incurred if the company didn't issue benefits on time. Vocational rehabilitation. If you're unable to return to your past work, the workers’ compensation insurer may be asked to pay for your job retraining. Florida law requires an employer to pay up to 52 weeks of wage losses as long as the injured worker has attended vocational rehabilitation. Florida law requires any workers’ comp claimant to be represented by an attorney in order to accept a settlement. At Johnson & Gilbert, P.A., we can estimate what you're owed for your injuries and whether a settlement is the best option for you. Simply fill out the quick contact form on this page today to schedule your free case evaluation. Do I Have to Settle My Workers' Comp Case? What does “filing suit” mean in a personal injury case? Many people are unaware of the legal difference between filing a lawsuit and pursuing an injury claim. Simply put, an injury claim is the process of obtaining compensation from an insurer, while “filing suit” is a legal action that requires a response from the other party. Both are ways to secure payment for your injuries and losses after an accident, and which one is best for you depends on the circumstances of your case. Under Florida’s no-fault insurance system, all victims are required to seek payment through their individual insurance providers after an accident. The first step to take if you're injured is to notify your insurance company of the accident and request payment for your losses. The insurance company then begins investigating your claim. If the insurer accepts the claim and offers payment, you may accept the offer and your claim will be closed. Negotiation. An injury victim and an insurer may negotiate a settlement if the first offer isn't acceptable. This involves writing a letter to the insurance company—known as a demand letter—detailing why the amount offered isn't sufficient to cover the claim. These letters may contain receipts or estimates from medical providers and documents from employers outlining your future ability to earn a living. If the insurance company doesn't change its decision, you may proceed to mediation. Mediation. If you and the insurer agree on some points, you may be able to resolve the claim through mediation. This is a chance for you and the insurer to explain your points to a neutral third party, and the third party gives a recommendation on a settlement. If the mediator’s recommendation isn't sufficient or the insurer is still denying fair payment, you may need to file a personal injury lawsuit. Filing suit. Filing a lawsuit—the process of actually filing legal papers at the courthouse with the Clerk of the Court—is typically only done after all other efforts to resolve the case have failed. At Johnson & Gilbert, P.A., we only file suit after exhausting all pre-suit options and thoroughly discussing them with our clients, and we always get our client's permission before filing suit. If you're having trouble getting proper compensation for your injuries, our experienced personal injury attorneys can explain your options at no cost to you. Simply fill out the quick contact form on this page today to schedule your free case evaluation. Calculating the full costs of an injury is a complex process, and many victims underestimate how much they've truly lost after an accident. While each case is different, there are a few general rules to help you total your losses and calculate how much your case may be worth. The first category of losses in an injury case is called economic losses, or the out-of-pocket costs you have endured directly because of the accident. These include the costs of past medical treatment, future medical expenses, property damage, lost time from work, lost future lost income, and other expenses. Your pain and suffering. An injury lawsuit allows victims to recover an additional amount for severe or permanent suffering. Called non-economic damages, these may include compensation for emotional suffering, inconvenience, loss of companionship of a family member, lost enjoyment of life, or permanent disability. The degree of negligence. If a person or entity showed extreme disregard for safety, you may be able to recover punitive damages to punish the wrongdoer. Insurance limits. Most injury claims are paid by insurance companies on behalf of the guilty party. In car accident cases, the amount you can recover depends on the available amounts of insurance coverage, including bodily injury and uninsured motorist coverage. Your condition. An insurer may devalue your claim if you've been involved in previous accidents or suffered prior injuries to the same part of the body. In order to get maximum compensation, your attorney has to gather evidence that clearly shows how the accident led to your injury. Your liability for your injuries. Florida’s injury statutes rely on a comparative fault system, which allows victims to recover payment even if they are partly to blame for an injury. However, the amount you recover is reduced according to your percentage of fault. If you've been injured through someone else’s negligence, we can help you get the compensation you deserve while you take the necessary time to heal. Simply fill out the quick contact form on this page today to schedule your free case evaluation. Victims often ask how long it will take to get compensation from a lawsuit. The truth is that resolving a personal injury case can take anywhere from a few months to over a year. The exact length of time depends on the specifics of your case. However, there are many things you and your attorney can do to help the process along. One of the biggest factors that impact a case is whether a victim accepts a settlement or goes to trial. Generally, cases that settle take less time than those decided in court, but faster isn't always better. Insurance companies often take advantage of a victim’s unwillingness or inability to wait for payment, offering low settlements soon after the accident occurs. Such payments usually aren't adequate to cover the full cost of injury, lost wages, or pain and suffering. Your attorney should carefully consider the amount offered before you accept payment. The severity of your injuries. As it is important to get compensation that covers the full extent of your injuries and the need for any further medical care, your condition must be medically stable before accepting a settlement. Your past and future losses must be carefully calculated, as well as your ability to earn a living and enjoy life after the accident. The type of accident. During the discovery process, both parties obtain evidence through interviews, depositions, and documentation, which may take several weeks to complete. The circumstances of your accident play a large role in your case, and each one has unique details that need to be addressed. A car accident case will involve different investigative methods and insurance issues than a work injury case, and these both differ from slip and fall cases. Who's at fault. Liability can affect the length of a case, especially if more than one party is responsible for your injury costs. For example, in work injury cases, victims may be able to collect workers’ compensation and file a lawsuit if a third-party was negligent. In addition, Florida law allows a victim’s damages to be reduced if he or she shared some fault for the injury. Settlement negotiations. Negotiations typically begin after discovery, with offers changing from week to week depending on the strength of each party’s position. Cases may be settled at any time, and negotiations often continue throughout the discovery and trial process. Whether we secure a settlement or go to trial, our Florida injury attorneys diligently work to get fair compensation for our clients’ suffering. Simply fill out the quick contact form on this page today to schedule your free case evaluation with Johnson & Gilbert, P.A. Why does it take so long for doctors to diagnose fibromyalgia? Fibromyalgia is a lesser-known chronic pain disorder that has no known cause. The good news is that many patients with the condition report increased quality of life after treatment. The bad news is that treatment cannot begin until the patient is diagnosed, and it can take years to diagnose fibromyalgia, because it shares symptoms with many other common conditions. Fibromyalgia’s primary symptom—pain in the muscles and joints—is a common trait of many conditions. Hypothyroidism. Low thyroid function, known as hypothyroidism, shares many symptoms of fibromyalgia, including becoming tired easily, unexplained weight gain, increased cold sensitivity, decreased heart rate, and depression. This condition can be ruled out using a blood test to check thyroid hormone levels. Sleep apnea. Extreme fatigue may be caused by sleep apnea, a disorder that causes a person to stop breathing while they're asleep. A sleep study may be conducted to see how many times a person wakes up during the night and if a person is reaching deep, or REM, sleep. Rheumatoid arthritis. Pain in the joints is common in both fibromyalgia and arthritis sufferers, but there are notable differences. Unlike arthritis, fibromyalgia doesn't cause tissue inflammation and doesn't cause physical damage to the joints. Lupus. Lupus may cause a patient to feel fatigue and body pain, but it's distinct from fibromyalgia because it causes a rash across the face and breathing problems. Physicians may conduct a blood test to check for antinuclear antibodies, which will be positive in lupus patients. Multiple sclerosis. Chronic pain throughout the body is typical of both multiple sclerosis (MS) and fibromyalgia. However, MS suffers may also experience blurred eyesight, difficulty walking, loss of control over body movements, and slurred speech. Psychological conditions. Mental health specialists often misdiagnose fibromyalgia as depression, while some patients experience both conditions simultaneously. Coexisting conditions. Diagnosing fibromyalgia can take even longer if a patient is suffering from other health problems as well as fibromyalgia, since doctors must discover which ailments are responsible for each new symptom. If you're unable to work due to complications of fibromyalgia, our attorneys can help you get the Social Security disability benefits you deserve. Call us today or fill out the form on this page to set up your consultation with a knowledgeable Social Security attorney. Am I eligible for Social Security disability for my fibromyalgia? In the past, patients would have a difficult time requesting disability benefits for fibromyalgia. This is because the Social Security Administration (SSA) doesn't have a dedicated listing for fibromyalgia in its Blue Book of disabling conditions. Today, the SSA offers more guidance to assist individuals who can no longer work because of fibromyalgia symptoms. In 2012, the SSA published a ruling to determine when fibromyalgia can be classified as a medically determinable impairment (MDI). The ruling relies on disability criteria supplied by the American College of Rheumatology (ACR) to determine whether an applicant may be entitled to Social Security disability benefits. Diagnosis. A fibromyalgia diagnosis must be explicitly stated in the applicant’s medical records in order to be approved for disability related to the condition. Medical records should also show evidence of chronic widespread pain and contain test results that have ruled out other diseases. These include lupus, hypothyroidism, cancer, rheumatoid arthritis, anemia, and multiple sclerosis. Symptoms. Patients are required to have medical documentation confirming tender points in at least 11 of 18 specified areas in all quadrants of the body. If they do not, they must have suffered repeated occurrences of six or more fibromyalgia symptoms, such as fatigue, cognitive problems—also referred to as "fibro fog"—sleep disturbances, depression, anxiety, irritable bowel syndrome (IBS), or migraine headaches. Residual functional capacity. Once the SSA determines eligibility for benefits based on fibromyalgia, the agency performs a residual functional capacity (RFC) assessment for your condition. This indicates if there is any kind of work you can do, your physical and mental restrictions, and other factors that affect your ability to earn a living. Your RFC is based on your medical records, notes from your doctors and specialists, and a statement from you about how your condition affects your daily life. If your fibromyalgia makes it difficult or impossible for you to support yourself, our attorneys can help you get the benefits you deserve. Call us today or fill out the form on this page to set up your consultation with a Social Security disability attorney. What if a defective seat belt made my crash injuries worse? Many people are injured every year because the features of their vehicles failed to perform effectively. If you suffered significant injuries because of a defective auto part, you may be able to hold the carmaker liable. Seat belts are incredibly effective in minimizing bodily harm in a crash. When these devices fail, injuries are much worse and may prove fatal, even at low speeds. Drivers and passengers can suffer whiplash, internal injuries, chest trauma, or even be ejected from the vehicle if the seat belt doesn't restrain them properly. Defective latches. Poorly-made seat belts may unbuckle suddenly with light pressure, upon impact, or when the strap is pulled. Inadequate straps. Cheaply-constructed belts are more likely to develop rips and tears in the straps, causing a lack of tension that can result in injuries. Design problems. Some seat belts aren't designed in a way that will adequately protect a user. Belts that create gaps due to buckle placement or don't restrain the torso may suffer from defective design. Inadequate passive restraints. Passive restraints are devices that automatically slide down over the rider’s shoulder when the door is closed. These are meant to work in conjunction with lap belts, but they can still cause significant upper body trauma when they fail in an accident. Tension failure. Seat belts automatically tighten with hard braking or when the vehicle strikes an object. The belt should contract long enough to restrain the user during impact with another vehicle as well as the secondary impact of striking objects within the car. Faulty devices may not place enough tension in the belt, release tension too early, or constrict so tightly they impair breathing or prevent escape from a damaged vehicle. If your injuries were made worse by a defective seatbelt, you may be able file a lawsuit against the manufacturer or automaker, even if your insurance already covered some costs of the crash. Simply fill out the quick contact form on this page today to schedule your free case evaluation with one of our car accident attorneys. What Are the Major Causes of Airbag Injuries? Can I get compensation if I was forced to lay down my motorcycle? Some crashes occur for reasons other than one driver striking another. Many injuries happen due to “near miss” situations, such as a motorcyclist taking evasive action to avoid a crash. In these kinds of no-contact crashes, bikers may have trouble collecting compensation from an at fault driver. "Laying down" a motorcycle is a desperate maneuver used only as a last resort. It may allow the rider to avoid impact with an object, but it almost always results in injury to him or her. And since the rider wasn't actually struck by another driver, it can affect liability in his injury case. An accident was unavoidable. Bikers usually only lay down a bike if there's no other option. A recreation of the scene of the crash can be used to show that the biker was paced in an impossible position, such as either being struck by an oncoming car or steering the bike off of the road. The other party was negligent. Just because a biker is injured doesn't necessarily mean a driver is to blame. The rider must show that he or she was acting responsibly and was forced to lay down the bike because of another party’s actions. A driver who was texting and drifted into the motorcyclist’s path or a municipality that allowed bushes to obstruct the view on a steep curve could be held liable for negligence. The other party was primarily at fault. A motorcyclist can be found partially at fault for an accident and still recover compensation. However, the other party must have a larger portion of blame than the biker, and the biker’s recovery will be reduced in proportion to the amount of fault he or she shares for the crash. These kinds of accidents typically involve long and frustrating recoveries, significant medical expenses, and an inability to earn a living. If someone else’s negligence resulted in your suffering, we can help you collect the compensation you deserve. Simply fill out the form on this page today to schedule your free case evaluation with one of our experienced injury attorneys.